Register Log In ECN Forum Forums Photos for General Discussion Wall Fish? Why Bother? 1 registered members (Scott35), 12 guests, and 14 spiders. I found this "installation" at a recent jobsite that I was at. 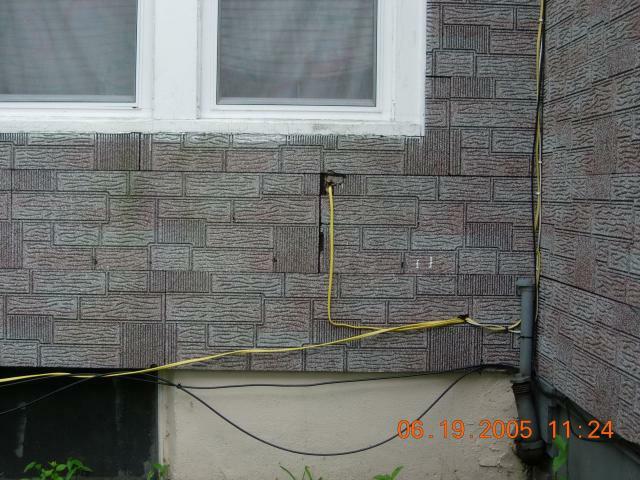 Two-family rental unit, recently rewired by the unit owner. He paid an electrician (not me!) to put in a new service and panel, and then did the rest of the work himself. He fed all new 12/2 NM to the OUTSIDE of the house, and then ran the wiring up to each respective room in the house, from the outside in! 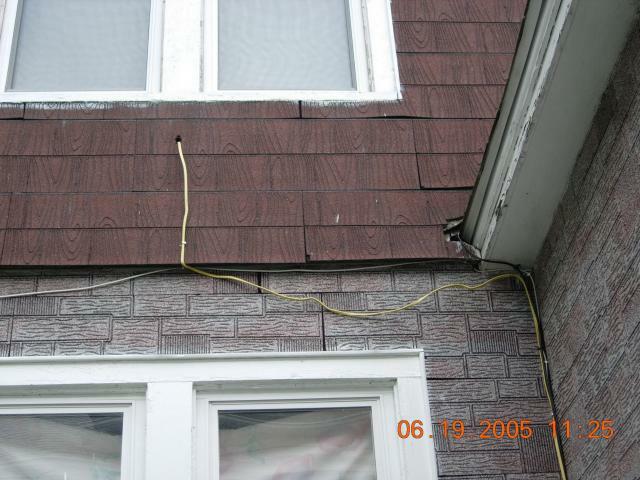 As you can see from one of the pictures, he was in the process of covering up his handywork with new vinyl siding. Now I have really have seen it all. Impressive, now there's a man who thinks outside the box. What an elegant idea, running those NM's (homeruns, maybe...?) through the wall right next to the oil tank fill piping? I guess that's better than running them through the piping . 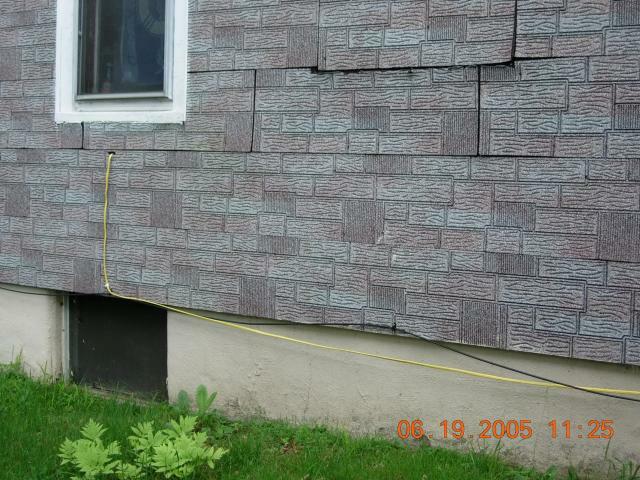 What do you do if you have to add more circuits in the future...put up more siding? I'm sure every EC likes to hear, "...you just install the service meter and panel, and I will take it from there (i.e., you're so $#%^$^ expensive, I can do this a lot cheaper) It keeps the fire departments in business. The change from aluminum siding to vinyl has saved many a fool from an early funeral. 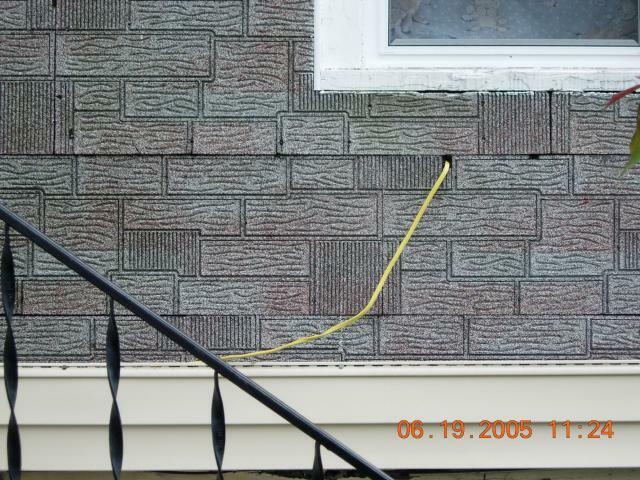 A "good" inspector will wait until the jerk has almost all the siding up before red tagging it. OH PLEASE PLEASE don't let this guy turn out to be an engineer, Lord! This looks like the kind of work that the phone company does when adding an extension. Maybe the "installer" (outstaller?) is a phone company employee? 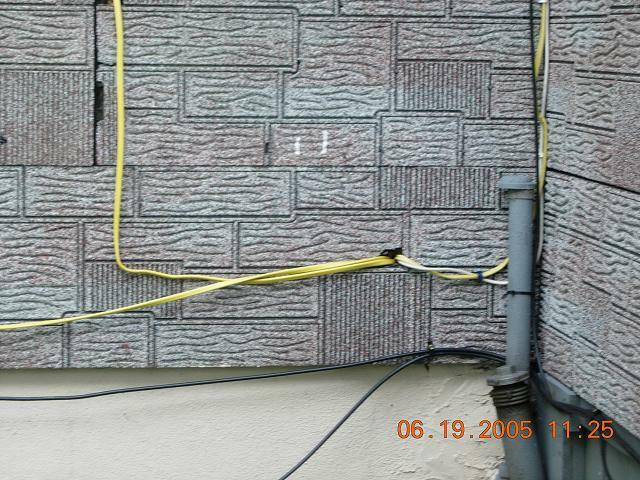 I bet this guy had a previous job as a cable tv installer. Looks just like their work.